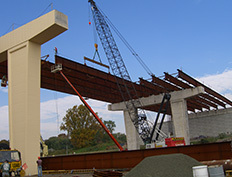 The Ironworker Employers Association of Western Pennsylvania is an association of Union Contractors who work in all aspects of the Ironworking trade within the construction industry. 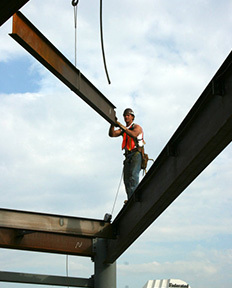 Our Regular Contractor Members have diverse specialties, and their specific area(s) of work are clearly defined under the Association Member section of this website. We also have Associate and Affiliate members who provide various services to our Regular members and throughout the construction industry. The goal of our Association is to provide information and training to our members so that they can be the best contractors this industry has to offer. We achieve this goal by keeping our members updated on current safety issues and training, new techniques and equipment, legislative matters and other news and items pertinent to the industry. This allows our Members to focus on their primary goals, which include quality job performance and ultimate profitability. If this sounds like something that is of interest to you, consider membership. You can obtain additional information by clicking on the membership tab above. If you are seeking a contractor that meets your specific construction needs, you are invited to peruse our Member Contractor Section, or call our office for a list of companies and their specialties. And don’t forget to visit our Projects section. The photographs are impressive, and are often awe-inspiring!